Same day credit after 3pm for fund transfers made from 8:00am to 11:30am (Mondays thru Fridays). For fund transfers made after 11:30am to 7:00pm or at the latest hour of 9:00pm, Saturdays after the 11:30am cut-off & holidays. For fund transfers made after 11:30am to 9:00pm on Fridays and from 8:00am to 11:30am on Saturdays. No remittance instruction is needed once registered to Postal Link. One Postal Link Card for one beneficiary. 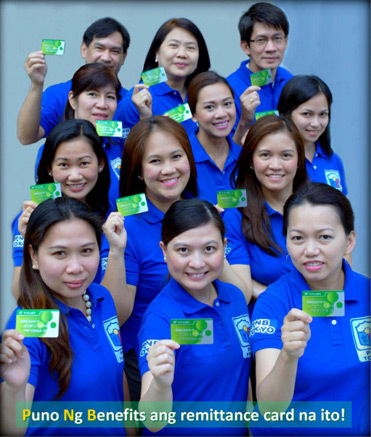 Postal Link Card is free for the first 5 Beneficiaries. One PNB remittance charge for combining multiple yen funds transferred before Cut-off time or after Cut-off time for remittance more than 100,000 yen to the same beneficiary. Domestic transfer charge at Japan Post Bank is cheap. (Charges as subject to change).